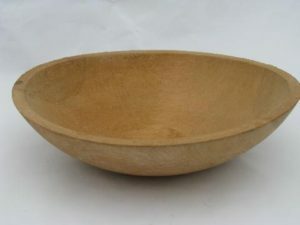 In the last few weeks, I’ve been searching for a lost item, a huge wooden bowl that belonged to my mother. When I cleaned out Mama’s house after her death, just seeing the bowl sent me spiraling back in time to innumerable youth fellowships at our house and Neely 4th of July family gatherings. On those occasions the bowl was often filled to the brim with homemade potato salad or some other delectable offering, enough for the multitudes. While I forced myself to part with other items, I knew the bowl was a keeper. For several years after finding it, the bowl stayed at Mama’s house, where my son and daughter-in-law now live. Late last year, I claimed the bowl to use it for a party at a friend’s family home, often referred to as “the farm.” Only when I began to searching for the bowl in the last few weeks did I realize it was missing. I’m not sure how I managed to misplace something as large as a hubcap, but somehow, I did. I looked, without success, in every nook and cranny in my house that was capable of housing the wooden giant. Then, I began mentally tracing when and where I last saw it. I reasoned I’d surely used it several times this year, but as I crossed off the potential places I might have left it, I discovered the bowl had been missing longer than I realized. I’d lost something I prized, yet that fact had gone unnoticed for many months. Now, I had a choice: give up and accept that the bowl was gone, or make finding it a priority, not stopping until I located it. Did your priorities change? Often, you lose sight of something you once valued because priorities shift. 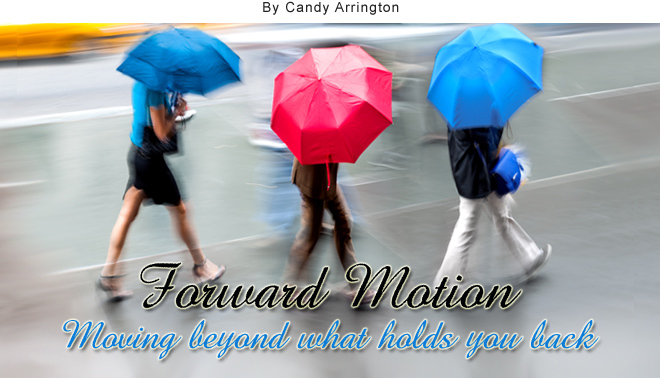 A relationship, activity, or ability slides as your focus moves in a different direction. Now is a good time to examine your current priorities and see if they are really worthwhile. Did life intervene? Life has a way of making us believe the urgent outweighs the important. Busyness wins while that which is really valuable goes unnoticed or untended. Did you lose sight of the true value? The phrase “out of sight, out of mind” is true. Once something moves from a position of importance or within vision, we often forget we once valued it. This is true not only of possessions, but relationships, abilities, and areas of growth. If a lost possession, a bowl, matters so much to me, shouldn’t a neglected relationship, an abandoned talent, or spiritual growth matter more? It wouldn’t be fair to leave you dangling without finishing the story of the wooden bowl. After investigating all the places I imagined the bowl might be, I asked my friend to look for the bowl the next time she went to the farm. A few days later, when my phone dinged and saw her name, I knew she had sent me a picture of what she found. I was afraid to look, thinking it might be some other bowl, nothing at all like Mama’s. But there is was, the bowl! What I’d lost had been found. What I value most about the bowl is not the item itself, but the memories and heritage associated with it. While I know possessions aren’t everything and shouldn’t be the focus, there are dreams, relationships, goals, abilities, talents, and spiritual growth that are worth pursuing, restoring, and finding. Take inventory of what you’ve lost and begin the quest toward recovery. And once what was lost is found, treasure it. Have you suddenly realized you’ve lost something you once valued? Take inventory of what you’ve lost and begin the quest toward recovery. The fact that the bowl had been gone longer than you realized, and the parallels you draw are convicting. Thanks for your words – and I’m glad you found the bowl! I, too, am glad I found the bowl! Thanks for reading and commenting.